After nearly three years at Saturn, the Cassini spacecraft continues to observe the planet's retinue of icy moons, seeing exciting details with every orbit. 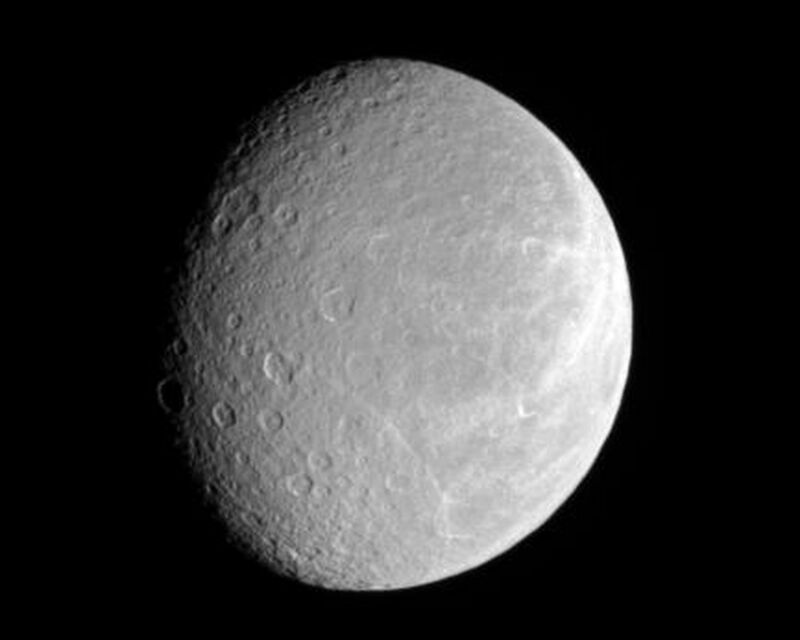 Rhea's cratered face attests to its great age, while its bright wisps hint at tectonic activity in the past. This view looks toward the moon's Saturn-facing hemisphere. 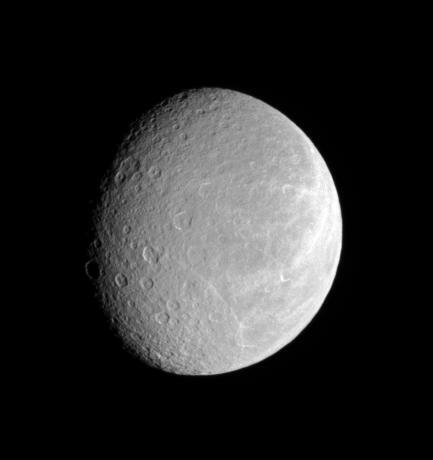 North on Rhea (1,528 kilometers, or 949 miles across) is up and rotated about 8 degrees to the right. 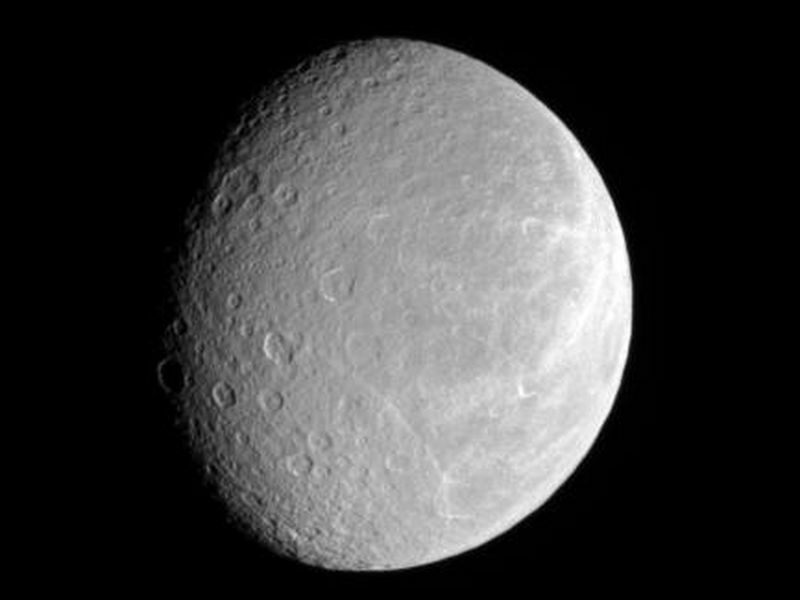 The image was taken in visible light with the Cassini spacecraft narrow-angle camera on May 11, 2007. 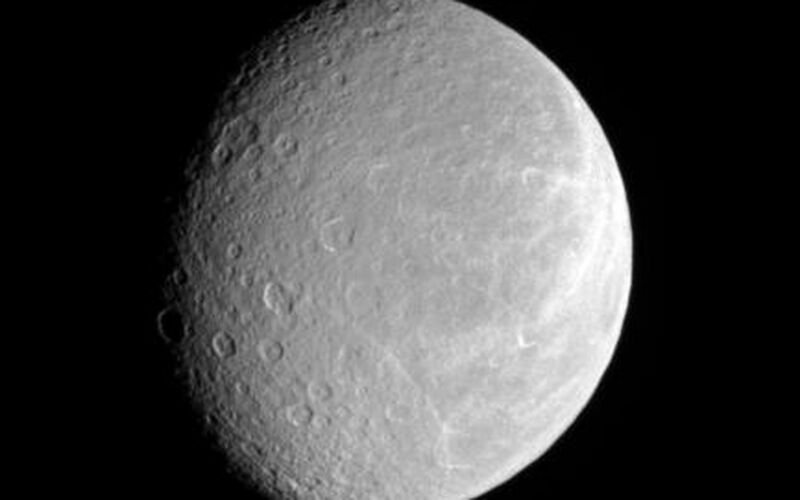 The view was acquired at a distance of approximately 879,000 kilometers (546,000 miles) from Rhea and at a Sun-Rhea-spacecraft, or phase, angle of 43 degrees. Image scale is 5 kilometers (3 miles) per pixel.